What do you look at in the mirror everyday? Your eyes (windows to the soul), your mouth, your nose? 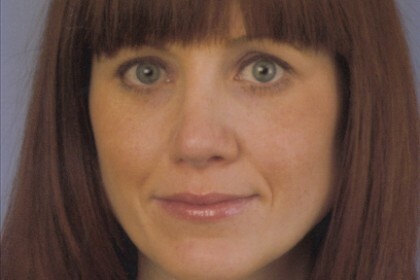 Are you happy with the shape and size of your nose? This featured could be argued the most “fixable.” There are surgical techniques that can reshape the nose and truly create an improvement in your look. The word Rhinoplasty comes from the German word rhinoplastik, which literally means changing the shape of the nose. Since Renaissance times artists have tried to measure beauty in mathematical proportions. These days, studies have proven that symmetry is one of the main elements in the perception of beauty because it displays good health and strong genes. If a person’s nose is crooked or oddly sized, this can detract from their entire face, and can adversely affect their lives both professionally and personally. For those who are dissatisfied with the size, shape, or proportions of their nose, rhinoplasty offers a surgical solution. Because of its tremendous success rates, rhinoplasty is popular amongst everyone from Hollywood starlets, to athletes, to stay-at-home moms. It is the second most common elective surgery other than liposuction. Whether your nose is too large, wide, or crooked, rhinoplasty can successfully change its size and symmetry, adding or taking away just the right amount to balance out the face. 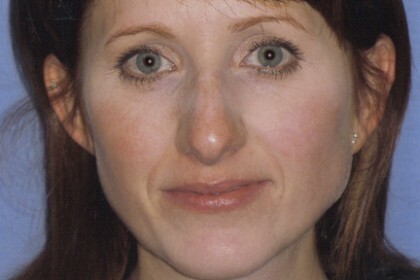 For some people, injuries leave their noses crooked and out of alignment with their faces. For other people, congenital disorders such as a cleft lip and palate make rhinoplasty a necessity to achieve normal breathing, shape, and contour of the nose. If rhinoplasty is done well it not only changes the way people physically look and feel, it also changes the way they feel about themselves mentally and emotionally. Our surgeons listen carefully to keep an open communication with their patients from the consultation stage, to the healing phase, of surgery which proves time and again to produce successful outcomes and satisfied patients. 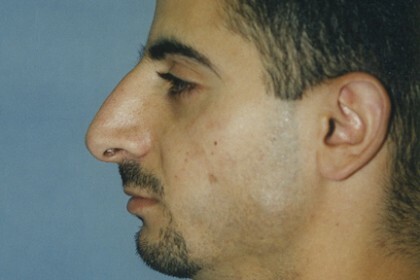 Rhinoplasty is a series of surgical techniques used alone or in combination to correct various nasal imbalances, or impaired breathing caused by structural defects of the nose. The main goal of the surgery is to achieve better alignment of the nose in proportion to a patient’s face and to improve functionality. The initial surgery begins with a small incision inside the nostrils, which separates the bone and tissue. At this stage a number of different methods are available to reshape the cartilage in the nose. Whether shaving, cutting, or trimming, your doctor will have deciphered his exact approach during the consultation stage. The surgical plan will then be executed and the final result will help you to achieve the look you envisioned. Depending on the technical approach your doctor uses, rhinoplasty can be categorized as either open or closed. In an open rhinoplasy, the surgeon makes an additional small incision into the fleshy, outer part of the septum. 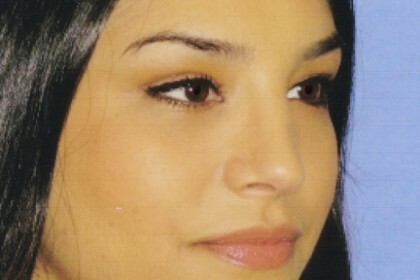 With closed rhinoplasty the surgeon performs small incisions within the nose and does not cut the septum. During the consultation the doctor performs an analysis of your nasal tip, examining the skin thickness. This will determine whether your case requires the open or closed technique. Rhinoplasty can correct numerous nasal problems, whether you are suffering physically, emotionally, or both as a result of your nose shape. Using state-of-the-art technology, our surgeons can demonstrate the results that you will get from various surgical techniques. This allows them to understand what you want, and to determine the best surgical approach. The best candidates for surgery generally meet a few basic criteria. To see the best result, surgeons recommend that your face be fully grown. This guarantees that the surgery results will last and won’t become misplaced as your face grows and changes. Additionally, you must be physically healthy; no signs of disease or pre-existing illnesses can be present for a surgeon to operate on a patient to have the surgery. Smoking is not allowed, as it puts the surgery and recovery at risk. You also need to have a realistic idea of what the surgery can accomplish. A positive outlook and realistic outlook, with clear communication with your doctor will help achieve a great experience and successful result. the process, and your communication with your doctor, making the entire experience more enjoyable. During your consultation, one of our skilled surgeons will listen to your concerns and aesthetic goals. The doctor will then perform a thorough examination of your nose, both from the outside and inside, noting the structures of the upper, middle, and lower sections of the nose. The doctor will also take measurements of your nasal angles and the physical characteristics of the bony and soft tissue. These tests help the doctor to decide a surgical plan and bring you one step closer to your physical ideal. By comparing your nose to your face, a plan is set so that a balanced look is achieved. Once the doctor has decided what techniques will best suit your case he will discuss any necessary preparations that must be done before surgery and will answer any questions you might have. The doctor will recommend a complete physical exam, if necessary, to see if you are in good physical condition to have rhinoplasty. This is precautionary but can also be important in reducing the chance of complications. After the doctor has decided which surgical approach to take in treating your case, it is helpful to know the various forms of nasal surgery and what conditions they correct. Each technique addresses different nasal conditions, from slight aesthetic changes to improve nasal contours, to complete restructuring. This surgery improves the contours of the soft tissues of the nose. It is the most popular type of cosmetic surgery other than liposuction. It can either be used to improve the aesthetic look of the nose or can be used to improve functionality and breathing. During this surgery excess bone and cartilage are removed from underneath the skin covering the nose. After the desired shape and angles are achieved, the skin is repositioned over the new framework revealing the new nose. Any difference may be subtle or quite dramatic, depending on what was decided by the surgeon during the consultation. Many people have difficulty breathing from their nose, or are dissatisfied with the cosmetic appearance of their nose after prior nasal surgery. 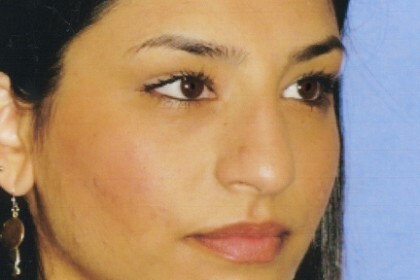 This is when Revision Rhinoplasty is required. 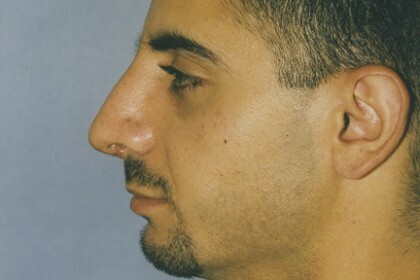 It is the most complicated form or rhinoplasty, as it is corrective. It is designed to repair both form and function of the nose after previous surgeries have been performed. During this surgery the doctor may need to re-break the bone or even add cartilage to the nasal structure from other areas of the body such as the ribs. This surgery treats nasal conditions and irregularities such as sinusitis, nasal polyps, and chronic sinus issues. Using nasal endoscopes the surgeon restores drainage in the para nasal sinuses and improves ventilation of the nasal cavity. Functional Nasal Surgery can also be used to improve issues with chronic snoring and sleep apnea. Because it is not considered cosmetic and treats nasal issues it is often covered by insurance. There really aren’t any known alternatives to Rhinoplasty for the correction or alteration of the nasal structure. In recent years injectables have been used to correct slight cosmetic flaws in the nose but this is not considered a permanent solution like rhinoplasty. Injectables can be used to fill indentations or areas that are considered to be inadequate in the nasal structure. It is important that temporary fillers are used when filling areas of the nose, as more permanent fillers can lead to complications and infections of the nasal passages. During the recovery process there are a number of guidelines to follow in order for you to have the fastest recovery possible and the best final result. You will need to designate a person to drive you to and from the surgery. There should also be a person to supervise you for two days following the surgery. Because driving is also prohibited for ten days following the procedure, somebody will need to drive you to and from your follow up appointments as well. When you sleep, your head should be elevated at least 30 degrees, in order to reduce swelling. Pain and discomfort are managed by prescribed pain medication. Ice packs are also helpful to manage swelling and discomfort. Minimal bleeding and some fluid drainage are pretty normal and expected after your surgery. Immediately after the surgery, a splint will be placed around your nose to protect it from any unwanted pressure or accidental movement while it sets. This splint is usually removed after a week’s time. Additionally, self-dissolving internal stitches and external stitches will be removed within a week. There may be pain and swelling immediately following the surgery but this will subside after some time. The full results of your surgery may take some time to show. The doctor will instruct you to avoid any strenuous activity or exercise for ten to fourteen days following the procedure. This narrows the chances of additional swelling or bleeding. To make sure the healing process continues as planned, you should also avoid saunas, steam rooms, alcohol, and any sun exposure whatsoever. Pricing for a rhinoplasty surgery varies depending on the surgical techniques needed to achieve your cosmetic goals. PSS offers convenient financing options designed to fit a wide range of budgets. During your initial consultation, your Doctor will discuss every detail with you, making sure you are well informed about what techniques are necessary. Then a price quote will be discussed and set for your upcoming surgery.